Hello Everyone! Hope you had a great weekend!Weekends always seem to go by way to fast Spent part of the weekend decorating our place for fall. Love decorating for each season. Fall is one of my favorite seasons! Wore this look last week at work. I felt very fall like in this outfit! Ready for some cooler weather. Lovely shirt, you look pretty elegant! Cute animal print top! 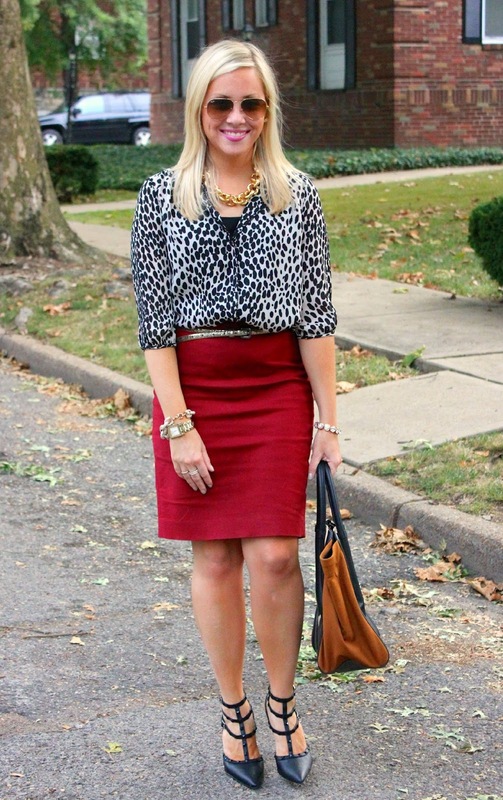 This outfit is definitely great for fall! Thanks Sharon! Love summer, but I'm tired of sweating so much after work! Great outfit! And that bag is gorgeous!! Thanks Shannon! Love this bag! Gorgeous outfit. The skirt and bag are fabulous. Love it! 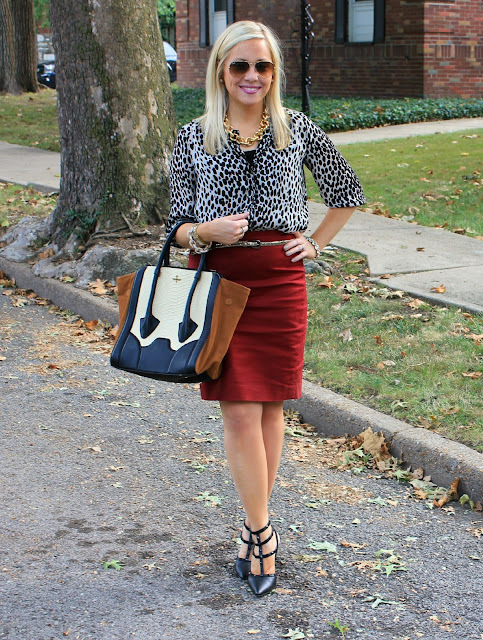 That blouse is fabulous and it looks great with the burgundy skirt. Fall is probably my favorite season too. Now for some fall weather!! Thanks Nikki! I agree! Fall needs to get here! I am tired of 90+ degree weather. Hurry up fall! That skirt is gorgeous! 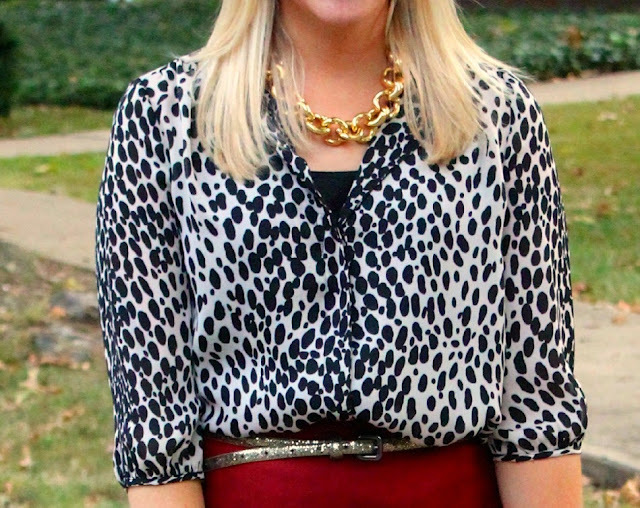 What a perfect fall color, and love it with the printed top! I love you in this outfit! Perfect work attire and very ladylike! You look great! 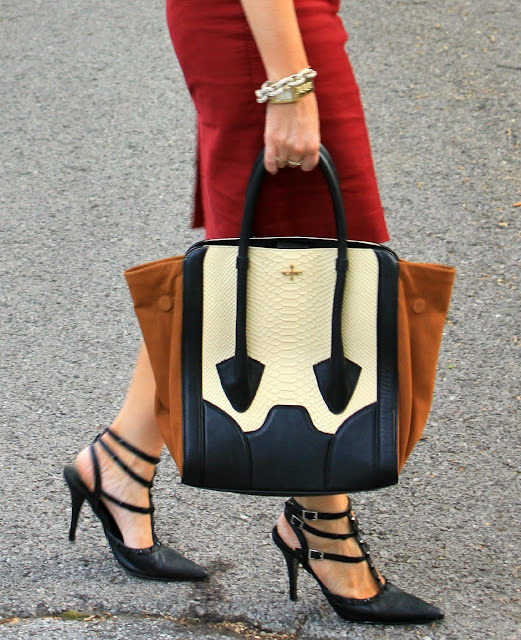 I love that oxblood color -- seriously the perfect color for fall! 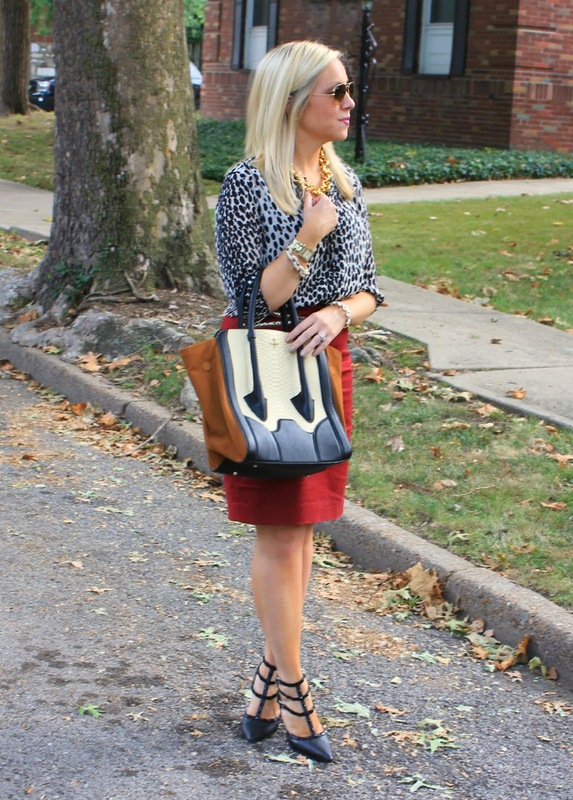 love a good leopard print for fall! looks so fabulous with the oxblood skirt! Thanks Brett! I got this top super cheap last summer! Thanks Chloe! This bag was on my buy list at the Nordstrom sale this past summer! So glad I bought it! The color of the skirt is perfect with the print top. Fall is my favorite...winter, not so much! I love the color of your pencil skirt. I want to get/wear some more Burgundy this up-coming Fall. Your skirt looks great with the animal-print top.